(Wikipedia) Confusingly, the English word snuff means snus in Swedish and the word snuff is, often incorrectly and outside Sweden, used to refer to both the inhaled form and the placed under the lip form of snus/snuff. However the snuff intended for inhaling through the nose may be called as torrsnus or more correctly as luktsnus in Swedish. 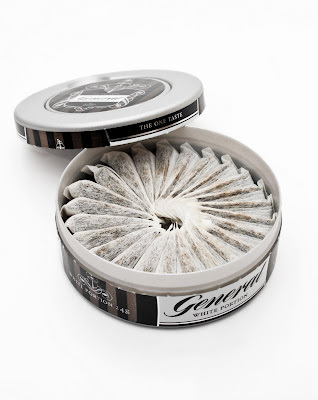 While the moist form of snuff placed under the upper lip is just called snus in Swedish, and the correct word for referring to this form would be snus in English as well. Image: "Portioned snus by the brand General" (Alekos, some rights reserved).